A measurement corresponding to the mineral density of bone, used to diagnose osteopenia and osteoporosis. Also called bone mineral density. The degree of mineralisation of trabecular bone in a certain volume of bone, which is measured by densitometry—e.g., by dual-energy X-ray absorptiometry. Bone density is an indirect indicator of osteoporosis and risk of fracture. 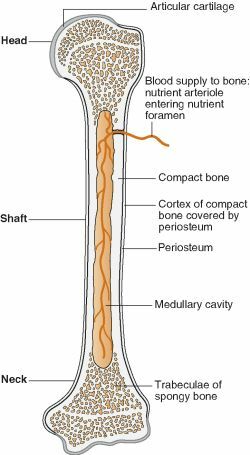 Quantitative measurement of the mineral content of bone,used as an indicator of the structural strength of the bone and as a screen for osteoporosis. Quantitative measurement of the mineral content of bone, used as an indicator of the structural strength of the bone and as a screen for osteoporosis. The main goal of the study was to compare changes in bone density at these three bone sites between people with and without HIV over 3 years. To schedule a bone density screening at Wake Radiology's Fuquay-Varina office, call (919) 232-4700. If bone density tests are not helpful in managing patients, then clinicians have an opportunity to save money, the researchers contended. A 2001 review by Ward and colleague Robert Klesges of adults' bone density estimated that smoking increased the risk of a vertebral fracture by 13 percent and hip fracture by 31 percent in women. 5) Several authors have reported the use of CBCT intensity values as a measurement to assess bone density. That said, both vitamin A deficiency as well as excess intake of vitamin A are possible risk factors for low bone density and fractures. The compound potassium citrate, found mainly in fruits and vegetables, has been reported to boost our bone density by neutralizing excess acid in the body. A published clinical trial revealed daily dosing of Calzbone extract from Verdure Sciences significantly improved bone density (BMD) in women. The Study: In this study from Brazil, the calcium intake and bone density were recorded for 47 children with lactose intolerance and 29 with no lactose absorption problems. One suggestion: Because changes in bone density associated with DMPA are reversible and have not been associated with postmenopausal osteoporosis or fractures, ACOG does not recommend routine bone-density assessment in women using DMPA for birth control. Besides, most of the patients who stop osteoporosis therapy within 3 years do so within the first few months of treatment, so annual bone density testing is unlikely to improve adherence, he added. These drugs will make your bones look dense on bone density tests.